The big story at this year’s Munich show was the rapidly increasing number of manufacturers incorporating MQA decoding in their products. Perhaps even more significant for the format, however, was Sony Music’s statement that it intends to release titles from its vast catalog in MQA. In addition to Sony’s statement at Munich, Merlin, a global-rights agency for independent record labels, announced a long-term agreement to encode their master recordings in MQA. The Sony and Merlin news, coupled with the previous announcements by Warner and Universal Music Group to release their catalogs in MQA, means that an MQA future is a fait accompli. A number of hardware manufacturers have also joined the MQA bandwagon, showing new products or announcing plans to incorporate MQA decoders in upcoming components. Among these were dCS, Krell, Mark Levinson, Moon by Simaudio, Teac, Wadax, Pro-Ject, Lumin, and IAG (parent company of Quad and Audiolab). I also learned off the record that many more high-end companies are developing MQA-compatible devices but are not yet ready to announce their intentions. 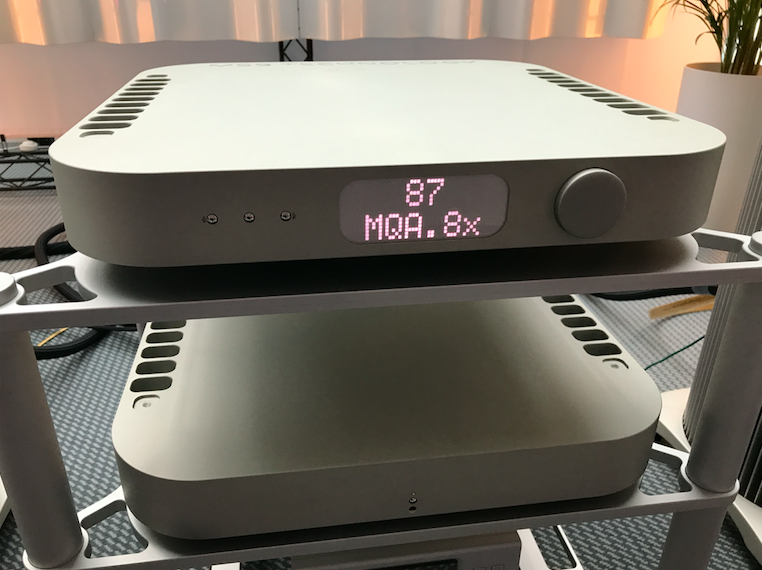 A company that was an early proponent of MQA, MSB Technology, introduced a new DAC that aims to incorporate much of the performance of the company’s mega-priced Select DAC in a lower-priced (but still expensive) package. The new Reference DAC is based on the same architecture and parts as the Select, but uses four of MSB’s proprietary DAC modules rather than the Select DAC’s eight. As with the Select, the Reference uses no output buffer; the DACs drive the analog output jacks directly. The two-chassis Reference supports all formats, including quad-rate DSD and MQA decoding. The product’s modular nature allows the key hardware components to be updated as technology progresses. Price: $40,000. NuPrime previewed a startling new device appropriately called the Omnia. 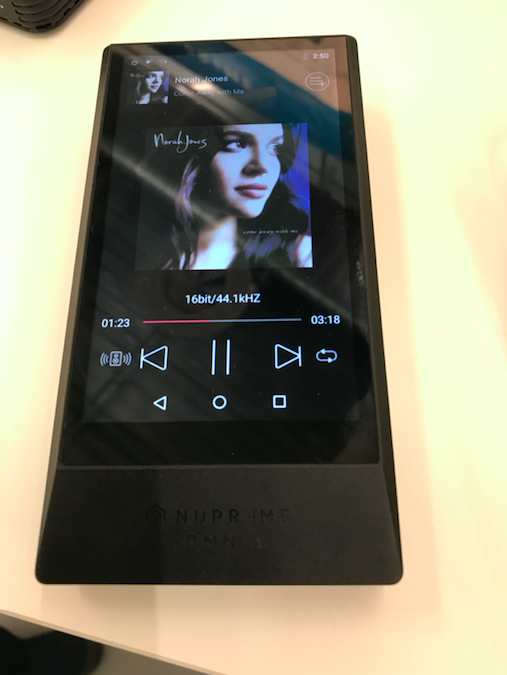 Ostensibly a portable digital audio player, the Omnia is actually a vastly more capable product that defies classification. Although the Omni will work as a portable player, it can also function as a full-on home music server when inserted in the available dock. Its 1TB of storage (via SD cards) and network connectivity allow it to act as a NAS, a DLNA server (streaming to or from the Omnia), and a wireless streamer. Wireless systems recognize Omnia as a source and instantly link to it for streaming from Spotify, Tidal, or other app, or for playing files stored locally on the Omnia. When on a network that also has a NAS drive, Omnia will act as the server, and either render the files or send the files to another DAC in the system—no need for a computer or dedicated server hardware. It’s a very forward-thinking product. The Omnia will be priced at $1295 when it begins shipping later this year. 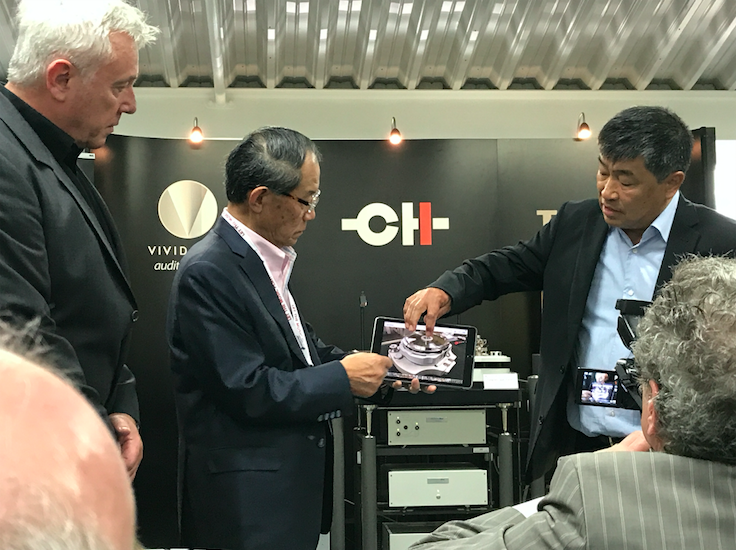 German manufacturer AVM Audio unveiled a wide range of new products at its press conference; I’ll cover just the sources. First, the CD8.2 is a new CD player that will decode any source, including DSD (although it doesn’t play SACDs). The MP8.2 is a full-fledged media player with a slot-loading CD drive. 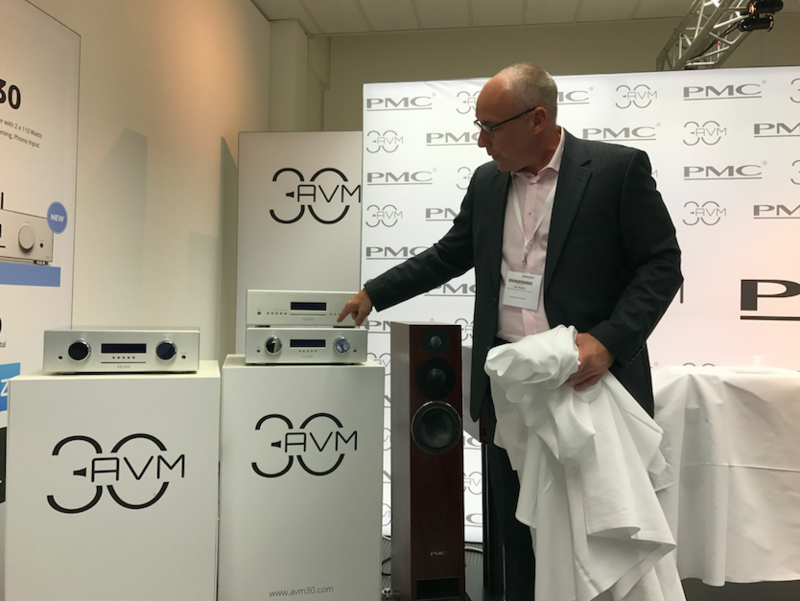 In addition to these new sources, AVM announced the entry-level AVM30 Series, a fresh new take on the line of products that put AVM on the map nearly 30 years ago—with sales of more than 10,000 amplifiers alone. The new series includes the CD30 CD player (1790 euros), MP30 media player (2390 euros), and CS30, an all-in-one unit with disc player, streaming DAC, and phono input for 2990 euros. All the 30 Series products are scheduled to ship in September. We visited the AVM factory just after the show and will have a full behind-the-scenes report along with our review of one of these new products. The most startling product launch at Munich was undoubtedly the Leo Smart Music System from Constellation. The company known for its ultra-high-end electronics has created a compact, fully integrated audio system with built-in speakers. Just connect the Leo wirelessly (Chromecast, AirPlay, Bluetooth) to your smartphone and you have a complete music system. Of course, the Leo will accept conventional analog and digital wired inputs, including from mm or mc input. On the technical side, Leo incorporates a three-way speaker system driven by 560W of amplification, extensive DSP, MQA decoding, and is Roon-ready. The stereo Leo can be converted to monophonic operation and paired with a second Leo. The sound quality was staggeringly great, with no hint that the huge, three-dimensional soundstage was coming from a compact enclosure. The sound was exceptionally pure, clean, smooth, and effortless. The price is TBD, but will reportedly be under $5000. 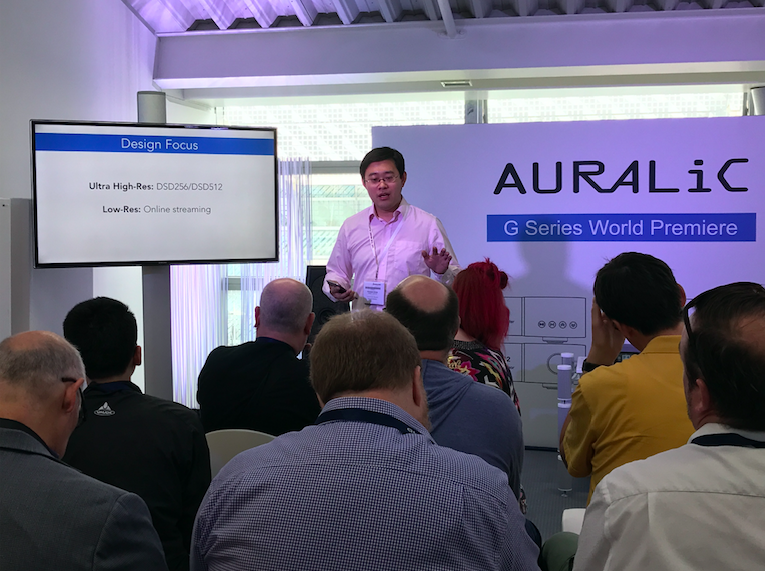 Auralic expanded its product range with the upscale G Series that features significant technical enhancements. The G Series augments, rather than replaces, Auralic’s current product line. For example, the company’s extremely popular Aries network player gets the G treatment (Aries G2, $3899) with a new industrial design, double the memory (8GB), a 50% faster processor, galvanic isolation between subsections, and a more sophisticated power supply (to name a just a few of the upgrades). The Vega G2 DAC ($5600) undergoes a similar upgrade, and will be a Roon endpoint. The Vega G2’s new architecture allows it to be the master clock for the entire system, obviating the need for a PLL in the DAC to recover the clock. This technique greatly reduces jitter. The Sirius G2 stand-alone upsampler and Leo G2 clock further expand the line (no prices were available at press time). The Aries G2 and Vega G2 will ship in the fall, with the Sirius G2 and Leo G2 coming later. The Korean company SOtM, known for its technically advanced and affordable digital-audio products, showed a new version of its sMS-200 DLNA renderer and network player, this one with greatly improved clocking for lower jitter. The sMS-200 is based on a board developed entirely in-house specifically for maximum audio quality. The sMS-200 comes with a free 60-day trial subscription to Roon. 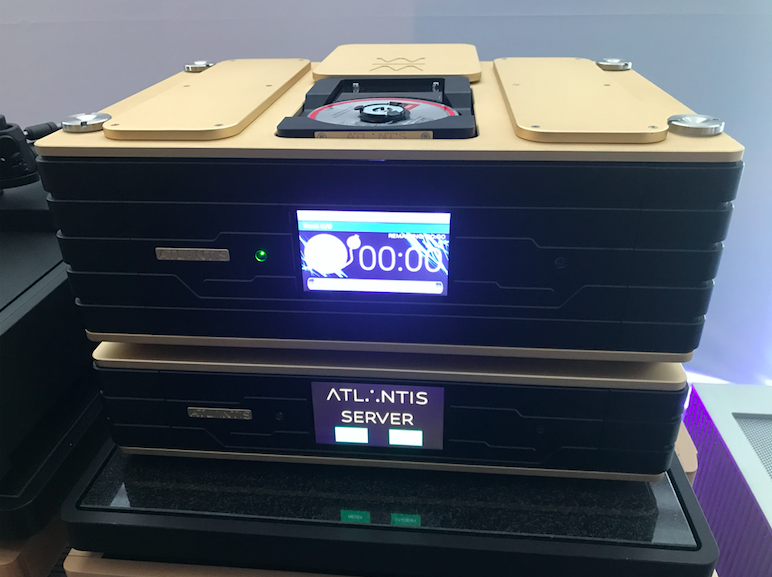 The Spanish company Wadax introduced a gorgeous looking and technically advanced new digital system called Atlantis. The three-chassis system includes the Atlantis Transport with a mechanism designed and built entirely in-house. It will play all disc formats including SACD, Blu-ray Disc, and DVD-Audio. The transport’s modular construction allows the addition of capabilities such as 4k video output. The display can show the amount of vibration at the optical pickup so that owners can fine-tune anti-resonance devices. The Atlantis DAC reportedly uses feed-forward correction of decoding nonlinearities and a discrete analog output stage with more than 400 components. Finally, the Atlantis Server is a Roon core with native playback of DSD without intermediate conversion. 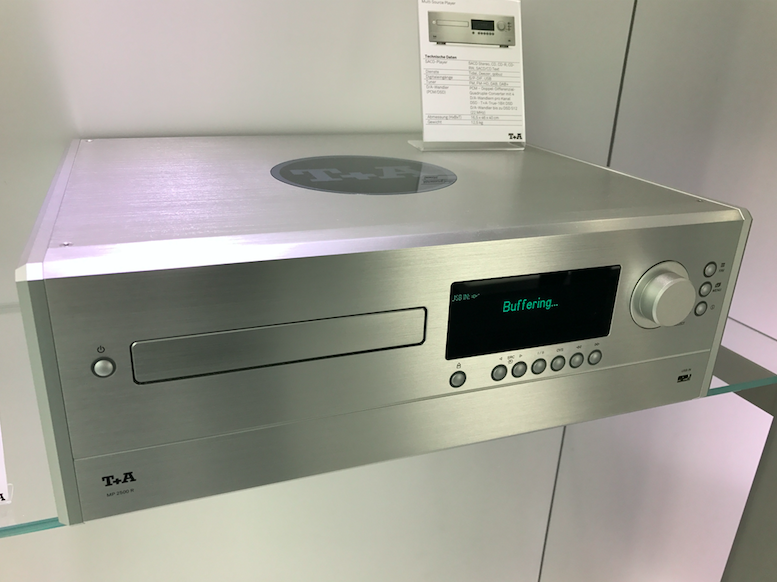 T+A demonstrated its commitment to physical media by introducing the MP 3100 HV multi-source player with CD and SACD playback, along with decoding from just about any other source imaginable. The network player can decode streams from any sources on the network or via Bluetooth. The MP 3100 HV even includes an FM tuner and HD radio. The player is built similarly to the outstanding T+A PDP 3000 HV I reviewed in Issue 268, with an in-house-built transport mechanism, custom discrete 1-bit DAC for SACD and DSD sources, custom signal processing and filtering, and separate signal paths and decoders for PCM and DSD sources. The unit looks gorgeous, too. 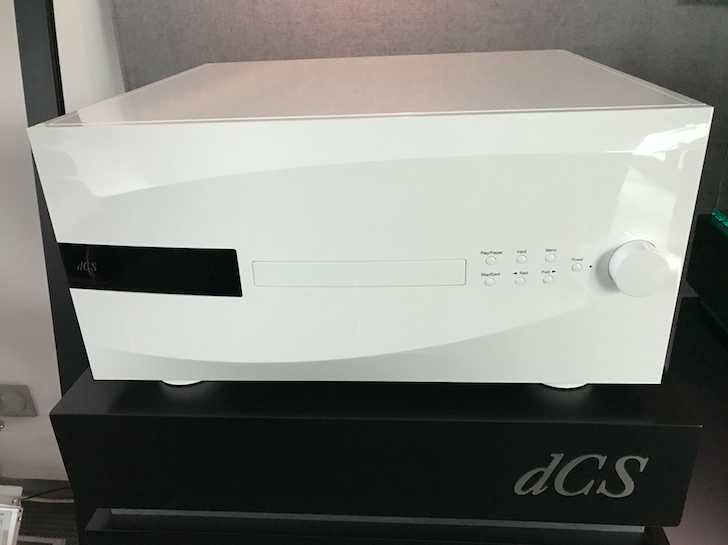 To celebrate the company’s 30th anniversary, dCS introduced the Vivaldi One, an all-in-one digital source (CD/SACD drive, DAC, upsampler, network player) that is based on dCS’ best technologies derived from its four-component Vivaldi Series. These include the Esoteric VRDS mechanism, and the latest version of dCS’s Ring DAC. The limited-edition Vivaldi One (only 250 will be made) is available in three absolutely gorgeous lacquer finishes that reportedly take three days to apply. Price: 55,000 euros. Mark Levinson showed an updated version of its No.519 networked digital player that adds MQA decoding and Roon compatibility. Owners of existing players can simply update the software when the download becomes available in August. 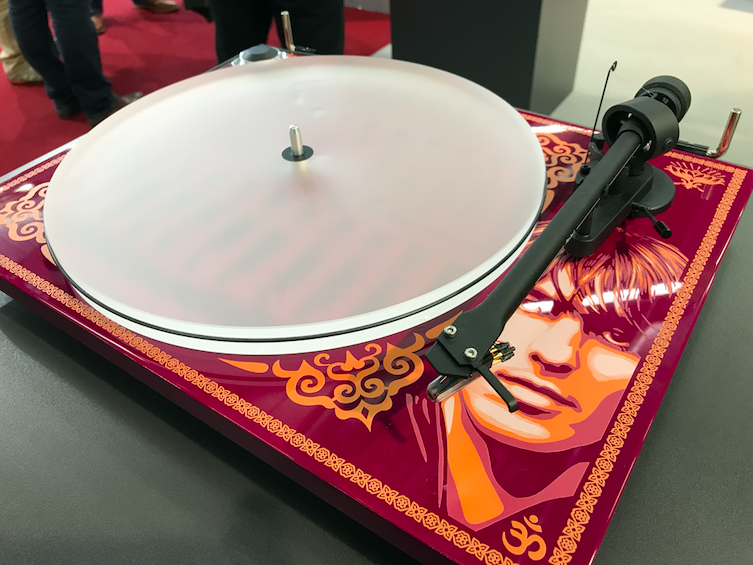 In analog news, TechDAS previewed the “Engine” for the upcoming flagship Air Force Zero turntable, a no-holds-barred statement product that will represent the life work of designer Hideaki Nishikawa. (Mr. Nishikawa spent much of his career designing the famed Micro-Seiki products.) The Engine is an outboard synchronous motor with a floating air bearing for the rotating pulley and massive flywheel. This new design is said to completely eliminate any vibration being transferred to the turntable itself, resulting in unparalleled background blackness and dynamic performance. TechDAS also demonstrated the Air Force One Premium with the relatively new tungsten platter and tungsten disc stabilizer. The Dohmann Helix turntable has a stablemate, the Helix 2. It’s based on the same floating technology (using a Minus K vibration-isolation system developed for electron microscopes) but is housed in a more conventional-looking chassis. The original model was designed so that you could see the vibration isolation at work, but some found watching the movement disconcerting. The 2 also has a smaller footprint so that it will fit on more racks, as well as an integral, rather than an outboard, motor. The price has dropped to $25,000 with a Schroder ’arm. 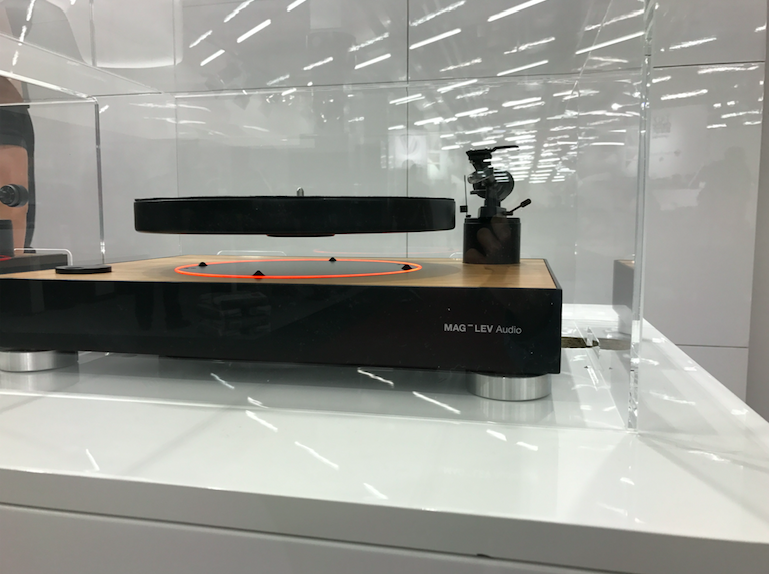 A company from Slovenia showed a turntable with a fully floating platter—and I mean fully floating with no physical connection to the plinth. The Mag-Lev turntable uses one magnet system to levitate the platter and a second magnet system to rotate the platter. Retractable feet rise from the plinth to support the platter when changing discs or when the turntable is not in use. The Mag-Lev will ship later this year at a price of 1400 euros. It remains to be seen whether this technique is an eye-catching gimmick or if it has any technical advantages. 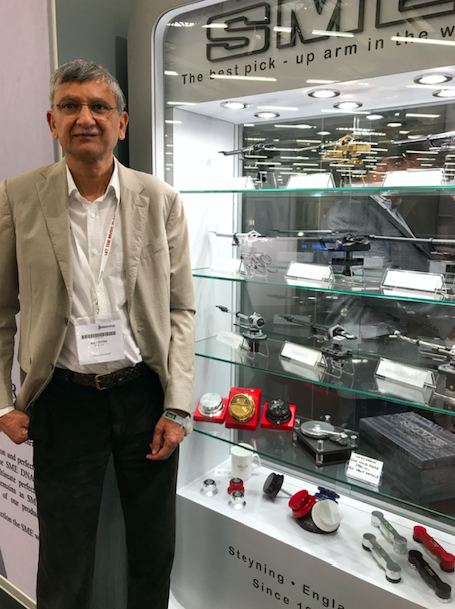 SME, one of high-end audio’s most iconic turntable and tonearm manufacturers, seemed to languish in recent years, but all that’s about to change. The company was bought by Ajay Shirke (who had recently bought Spendor). He plans to revitalize this legendary marque, starting with a major presence at this Munich show. 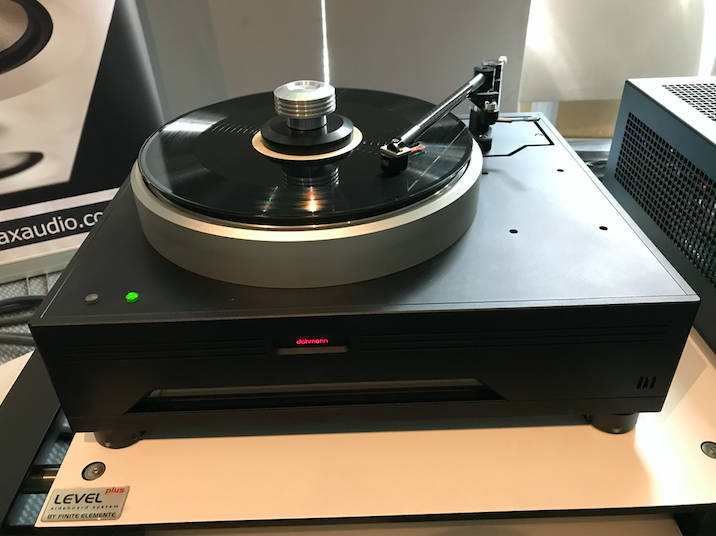 Teaming up with YG Acoustics, Nagra (whose amplifiers have sounded great at shows lately), and Crystal Cable/Siltech, SME produced one of the show’s best sounds with its 30/12 turntable at the front end (fitted with an Ortofon A95 cartridge). In personal audio news, Audeze showed what must be the most ambitious in-ear monitor yet, the LCD-i4. What makes the LCD-i4 unique is that this in-ear uses the same diaphragm as the company’s LCD-4 headphones, which are perhaps the best-sounding extant. The tiny LCD-i4 also features Audeze’s patented magnet technology. The $2495 LCD-i4 weighs just 12 grams per side. Finally, I had a mind-blowing headphone experience courtesy of the Abyss display. The no-holds-barred system included the Abyss AB-1266 headphones, Woo Audio WA33 tube amplifier, Lampizator Golden Gate DAC, Aurender W20 music server, Stillpoints shelf system, JPS Labs cabling, and KR Audio tubes. It was truly astonishing to hear how good headphones could sound at this level. 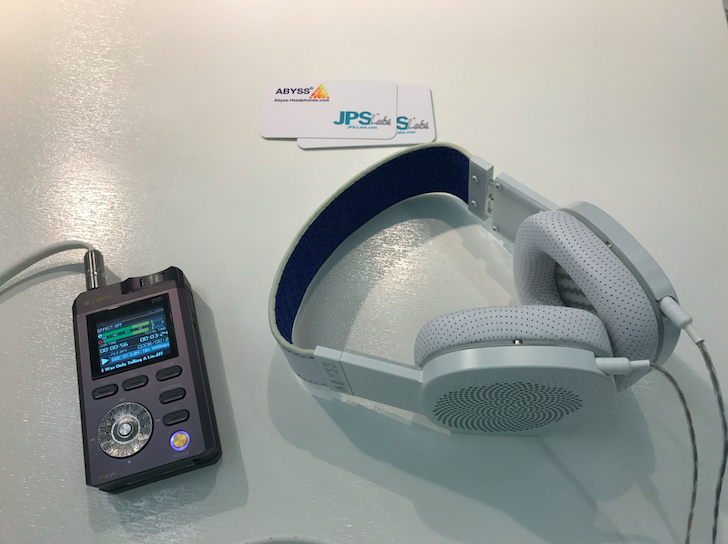 At a more down-to-earth price, I was really impressed by a pre-production version of Abyss’ new $3000 Diana planar-magnetic headphone driven by a portable audio player. The Diana was ultra-resolving, had terrific bass extension, and was quite comfortable. In no particular order: Zellaton Stage, Rockport Cygnus, YG Sonja 1.3 driven by Nagra electronics and SME turntable wired with Crystal Cable in the SME “pod” on the show floor, and MBL X-Treme. Monitor Audio Silver 300 speakers ($3500 per pair) driven by Roksan electronics ($2k) and Roksan turntable. By the standards of the many mega-priced speakers, Vandersteen's Quattro CT ($19k) stands out as a genuine bargain, outperforming many far more expensive systems. Constellation Leo Smart Music System, and the new 30 Series from AVM Audio, which brings high-end design and German manufacturing to affordable price-points. The growing momentum behind MQA, along with increasingly sophisticated networked devices that access music from myriad sources. MBL X-Treme loudspeaker driven by MBL’s top electronics. Stunning sound, stunning build, stunning looks.